The more we respect each other as human beings the more peaceful our inner and outer worlds will be. Yesterday, I was sitting with a couple from Hyderabad. The husband, a close friend, who has been living in Hyderabad for decades now was telling me that he was considering moving out to another state. When I asked him why, he replied that post the formation of Telangana as a separate state (it comes into effect on June 2nd, Monday), anti-Andhra and anti-Seema sentiments are running very high. Since he hails from Andhra, he preferred to move to a more “accommodating, neutral” city. Honestly, while he was dead serious about his impending decision, I did not think much of it. But this morning’s Hindu’sPage 1 headline shocked me. It read: “‘Andhra-domicile’ staff can’t work in Telangana: KCR”. Obviously the reference is to Telangana Rashtra Samithi chief K.Chandrashekar Rao’s (KCR) threat to people in government jobs. But I am sure, as my friend and his wife fear, these divisive sentiments can impact general public too. In fact, according to them, they can already feel the hate and the heat. In an increasingly connected world, thanks to technology and social media, I wonder why are we are allowing people to play up divisive politics? At the very basic level, can’t we not insist that everyone respects each other as humans? Now, if this is how people are going to feel about being who they are, obviously there is an urgent need to reach out be inclusive as nation. And that job, really, is not to be left to the politicians or to the government. We, the people, have to make an effort in our daily interactions and start a movement that thrives on, above all, being human first. I believe there must be more efforts like Dange’s and his Trust’s. Each of us has to champion the message of equality and freedom for all to everyone in our circles of influence. 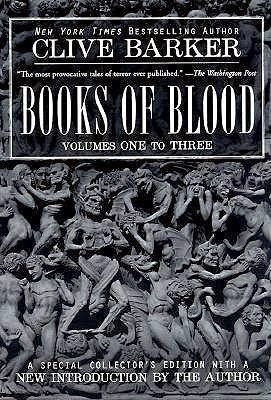 For my part, I would like to leave you with this quote from Clive Barker, the famous American author and filmmaker: “Everybody is a book of blood; wherever we’re opened, we’re red.” Think about it. Irrespective of what we wear, what we do, how much we earn, where we live, who we pray to or what we are about, we are the same within – powered by a red blood and the same source of Life! Do we need any further evidence of our equal nature?